Nowadays Marathi Films have broken all the records and have become talk of the nation for their huge success. Blockbuster Marathi film Daagdi Chaawl starring Superstar Ankush Chaudhari, which was appreciated and loved by the audiences and accumulated an outlandish opening collection at the box office, has been dubbed into Hindi for screening on Star Gold. 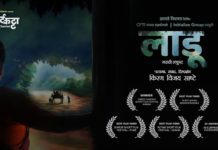 The film will be premiered on June 12th 2016 at 8 p.m. under the title “Daagdi Chwaal – Ek Bagawat”. The film is directed by Chandrakant Kanse. The film revolves around a chaal- a housing society in Mumbai. This chaal is rules by a don and everybody has to follow his rule. How a simple love story changes into a game of revenge will be seen in this film. The film also stars Pooja Sawant and MakrandDeshpande. The music for this film has been composed by Amit Raj. The film was appreciated for acting skills of Ankush-Makrand and story-telling. Ankush Chaudhari, a magnum opus personality in the genre of Marathi Film Industry will win over more millions of hearts across the country through his Hindi dubbed film. Earlier Samit Kakkad’s Aayna Ka Bayna was telecast in Hindi as dubbed film. 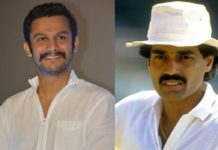 Previous articleSwwapnil Joshi and Sachin Pilgaonkar to star in Waaras!